Bizarre CCTV footage has left people questioning what on Earth it could be, as the clip in question shows what looks like a ghost haunting city streets. A camera in the city of Huaraz, the capital of the north-western Peruvian state of Ancash, filmed the mysterious mist as it left a building, waited around a parked car for several moments, before gliding off into the night. Local media have reported the spooky spirit has been dubbed the ‘Ghost of Christmas Present’ by security staff, because it was spotted while a festive party was being celebrated in the building. 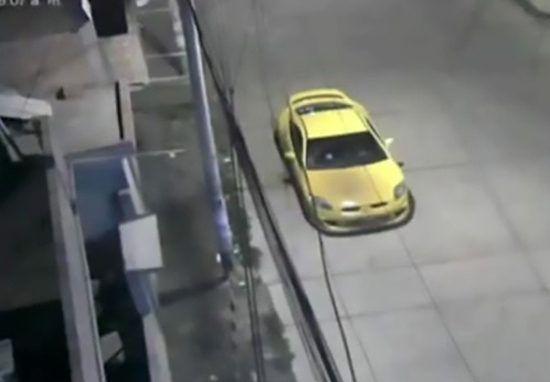 While revellers were dancing the night away and celebrating the Christmas holidays, the ‘festive phantom’ decided to leave the party early and surprised someone who was waiting on the street outside, sat in a yellow car. As you can imagine, those on the world wide web were sceptical to say the least after seeing the ghoulish footage. It looks like an insect crawling across the camera lens to me. It is just a bug on the pole of the security camera creating a shadow. It is the ghost of Alberto Fujimori. 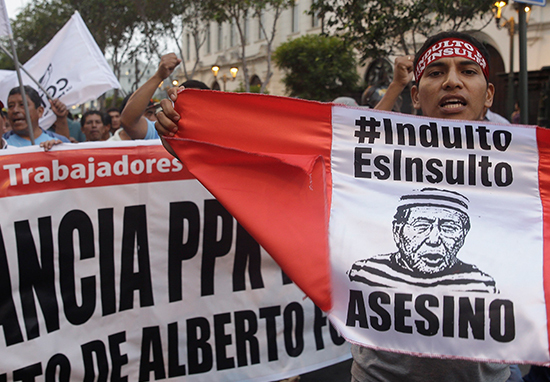 Albert Fujimori is a 79-year-old former president of Peru who was convicted of numerous crimes between 2007 and 2009. However, he received a humanitarian pardon from the current president, Pablo Kuczynski, earlier this year. Yet the pardon, on health grounds, hasn’t gone down well with a number of Peruvian writers, who have condemned the decision. 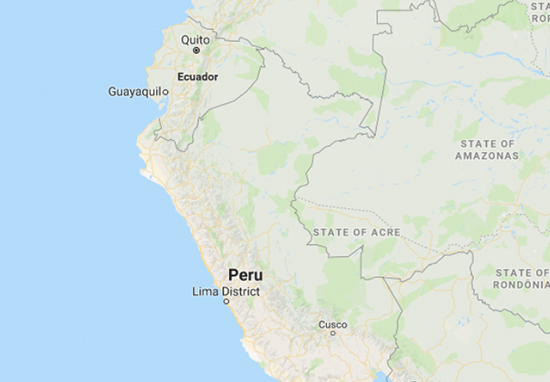 According to the BBC, the writers have called it ‘a disgrace for Peru’ and sent a letter to the Spanish news agency Efe, saying how President Kuczynski’s decision was illegal and irresponsible. 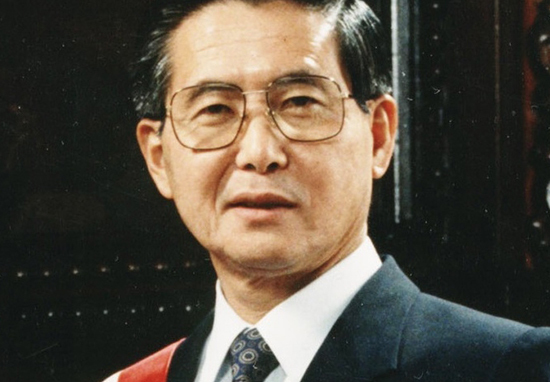 Fujimori, the former leader, has been serving a lengthy prison sentence for human rights abuses and corruption during his time in office in the 1990s. On Thursday (28/12/2017) a group of United Nations human rights officials called it a slap in the face for victims of Mr Fujimori’s government. 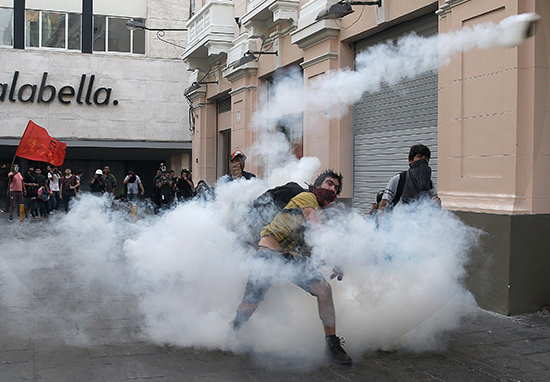 Thousands of people have taken to the streets of Lima and other cities to protest against the decision – Mr Fujimori’s critics consider him a corrupt dictator. [he could not] allow Alberto Fujimori to die in prison. Supporters of the former leader state it was a humanitarian gesture and continue to praise him for combating Maoist rebels of the Shining Path movement in the 1990s.